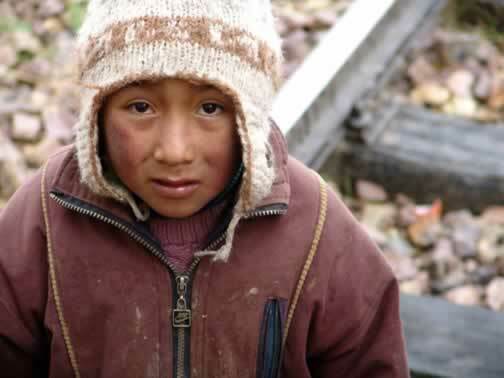 Later, nearer to Cusco as the train slowed again, a Quechua boy came out on the tracks looking for a handout. He was dressed warmer, but still appeared to be very needy. Along this route it was rare to see many villages or houses. The country and environment are most severe and demanding. Little could be grown at the high elevation. Llamas and alpacas were the only living things we saw along with the kids.